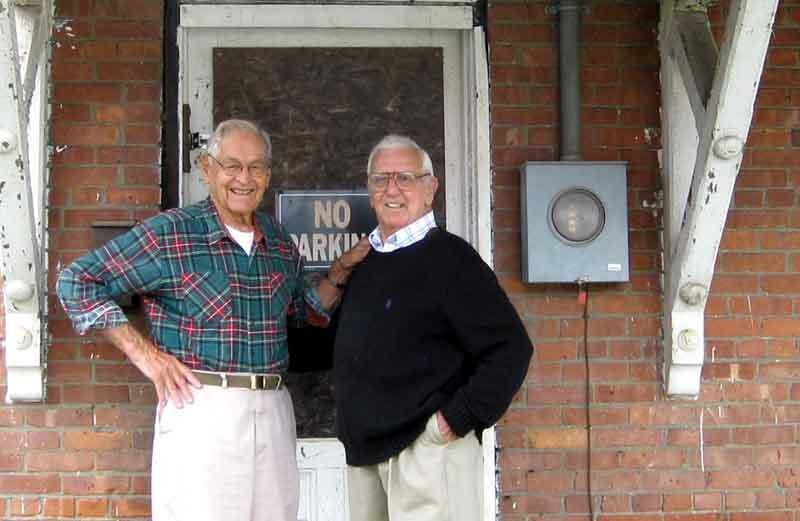 Angelo Ambrosini and Winston Presett on the steps of the historic Union Cooperative Store Bakery. As boys, they used to help out at the bakery in the late 1930s when it was operated by Gioseppi (Joseph) Piccolini. With your help, the Union Cooperative Store Bakery will be coming back to life. In the first decades of the 20th century, the Socialist Labor Party Hall was the location of a fine Italian bakery, located first in the basement of the Hall and later in a purpose-built building just behind the Hall. The building ceased to be used as a bakery in 1939 and was sold to be used for storage by various granite companies. In 2004, the building was acquired by the Barre Historical Society and the property was rejoined to the rest of the National Historic Landmark. At last, the Union Cooperative Store Bakery building is about to be restored as a bakery. 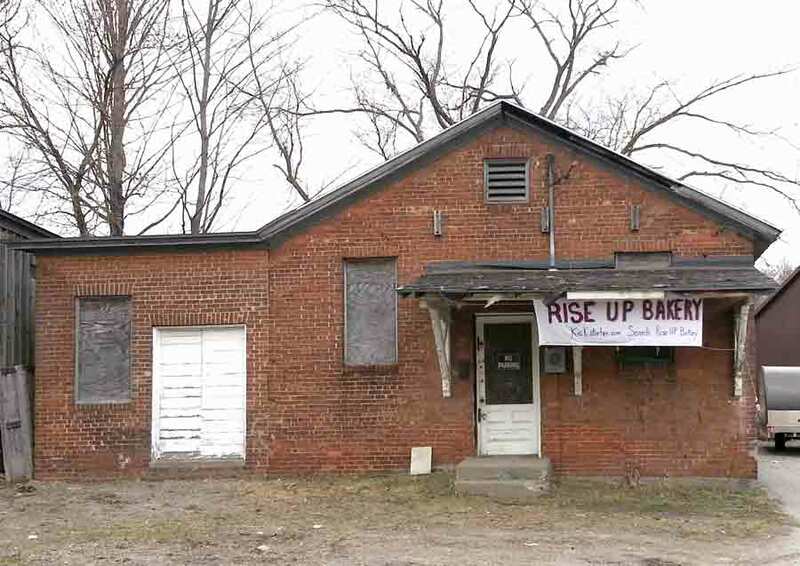 The new project is called “Rise Up Bakery”. Under the leadership of Carolyn Shapiro, the Barre Historical Society has started a Kickstarter capital campaign to raise the funds for phase 1 of the project—the stabilization of the building—with the intention of establishing an educational bakery right in the heart of downtown Barre. The project was the subject of a front page article in the Times Argus. Kickstarter is an online “crowdfunding” source of investment funds for all kinds of projects. Project creators set a funding goal and deadline. If people like a project, they can pledge money to make it happen. Funding on Kickstarter is all-or-nothing. — a project must reach its funding goal to receive any money at all. The goal for Rise Up Bakery is very aggressive. With your help, we aim to raise $25,000 by May 17, 2015, at 10:43 pm EDT. Yes, it is that precise. We need your help. If we do not reach the entire $25,000 in pledges, by that deadline, we will get nothing—zero. More About the Project and the Kickstarter Campaign? Eat great food and swing out at the 2016 Dine and Dance to raise the dough for the restoration of the Union Cooperative Store bakery building as a wood-fired bakery educational center—the Rise Up Bakery.